Evoc is the first true media and tool-agnostic communications consultancy of this age, designed from the ground up to take advantage of the sweeping changes in how people respond to medium and the message. We create campaigns that reach and influence your audiences optimally, by using the best possible mix of tools and media. Our strategic marketing consulting capabilities extend well beyond communications and help you elevate your marketing to a whole new level. This is a completely new paradigm in marketing and communications planning and management. The best time to manage a crisis is before it hits you. Evoc helps you prepare for the unseen by establishing simple yet exhaustive guidelines and frameworks customized for your organization. And when it’s time to act, you respond effectively with zero or minimal damage to your brand or corporate reputation. Strategic media relations are believed to be an art form. We bring science to the table with software and advanced analytical tools to help you streamline your media relations – resulting in a continuous, effortless two-way exchange of information with this crucial stakeholder. Sometimes, a direct and one-to-one conversation is necessary to deliver a critical or close-loop message to a critical stakeholder. Our direct outreach advisory and content services help you design and deliver direct communications for maximum effectiveness, tuned specifically to the individual stakeholder’s needs. A dynamic regulatory environment calls for an agile and responsive communications program that serves your long-term interests. We help you reach the right influencers or decision makers by crafting powerful content that helps build a compelling case in your favor. Effective public speaking is an art, but it is also a skill that can be learnt and applied. It is also a vital skill that is often linked to an executive’s role. We offer advanced spokesperson training and development programs in association with Brevis LLP that help you deliver the right messages in all situations. It is critical to have your employees on your side and speaking the same language that your external communications programs do. We help you manage your internal communications strategically to build a greater alignment between your internal and external environment. Evoc is always hiring. We prefer working with professionals with the right attitude and extraordinary levels of talent and ambition. And we ensure that the feeling is mutual. Please read our blog post to know what working at Evoc is going to be all about. Also, please check our LinkedIN page for all current openings. Visit and subscribe to The Evoc Blog here. Copyright © 2013-2018 Evoc Communications Consulting Pvt. Ltd. All rights reserved. Communications problems can be about awareness or brand image, needing completely different strategies. Or they may not be about communications at all, and rather be product-market or marketing problems. 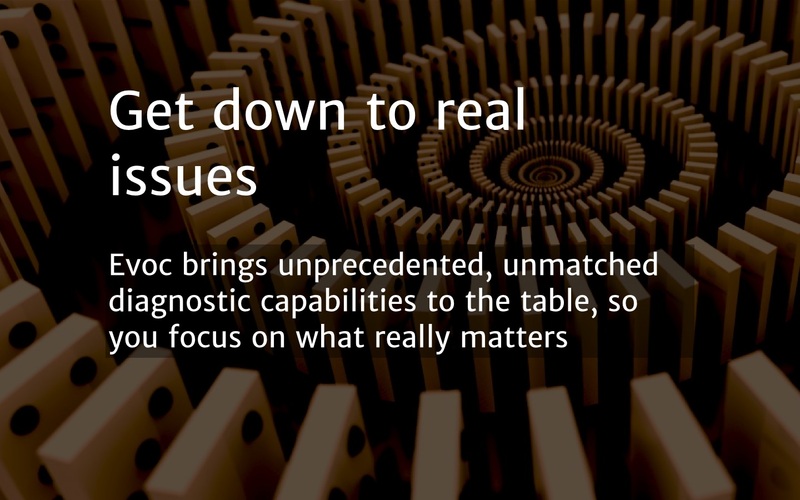 Evoc brings advanced analytical capabilities to help you diagnose your problems accurately. Because understanding a problem is the most crucial step in solving it. 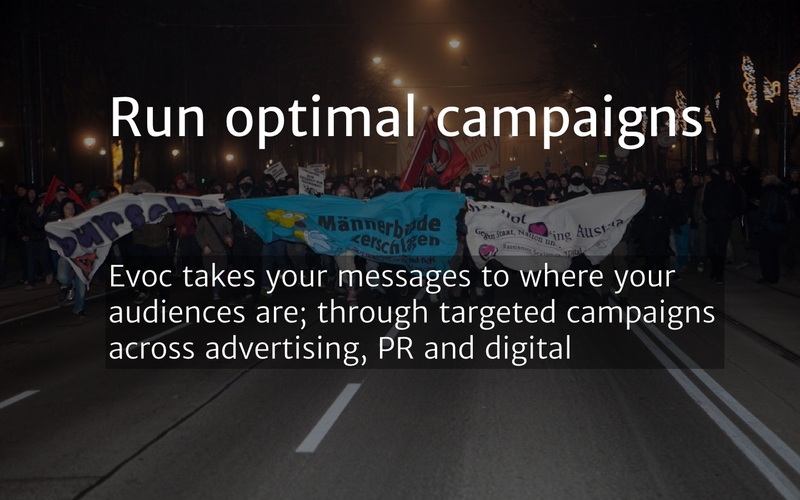 We are media and tool-agnostic, and this freedom from systemic bias allows us to design optimal campaigns that solve your problems creatively and with minimal resources. We design and run campaigns across advertising, PR and other tools; and via traditional and digital platforms; to take your messages to where your audiences are most likely to be receptive towards them. 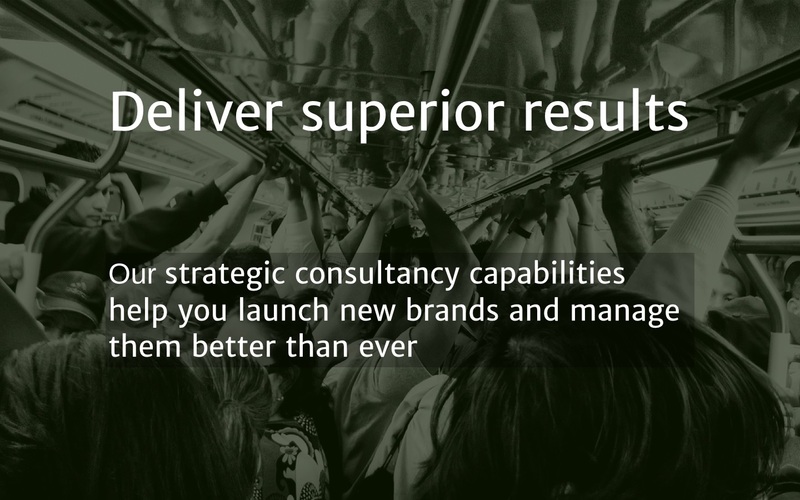 Evoc is the first communications consultancy to support you with advanced marketing consulting and advisory capabilities. We take advantage of advanced analytics to help you eliminate the inefficiencies and aid your decision-making. 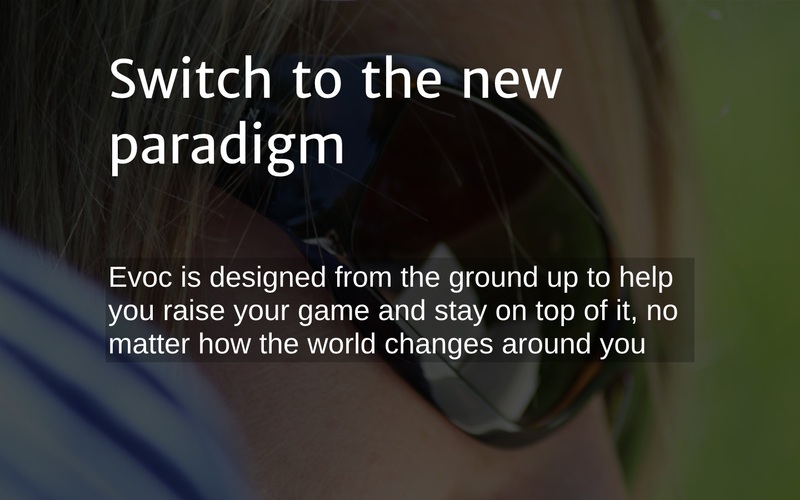 Evoc is built around cutting-edge organization research and systems theory to deliver a uniform, consistent and continually evolving experience across all levels and across the board – in consultancy, campaign execution and reporting. From people to technologies and capabilities, Evoc is set to completely redefine what you should expect from your communications partner. And get it.